'[J. G. Ballard's agent], Margaret Hanbury, said tonight that it was "with great sadness" that the 78-year-old author had passed away yesterday morning after several years of ill health. 'Hanbury, who worked with Ballard for more than 25 years, said he was a "brilliant, powerful" novelist. "JG Ballard has been a giant on the world literary scene for more than 50 years. Following his early novels of the 60s and 70s, his work then reached a wider audience with the publication of Empire of the Sun in 1984 which won several prizes and was made in to a film by Steven Spielberg. '"His acute and visionary observation of contemporary life was distilled into a number of brilliant, powerful novels which have been published all over the world and saw Ballard gain cult status." It is with a great deal of sadness that I mention the loss of one of Britain's most valued authors. 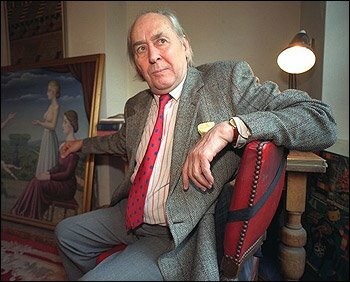 J. G. Ballard has passed away at his home after fighting a long battle with cancer. 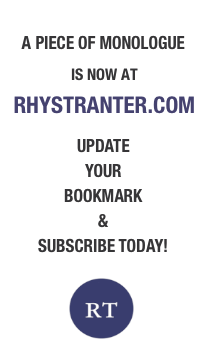 His work has been characterized as a bleak and apocalyptic vision of the twentieth-century landscape; there are certain obsessions which permeate a series of novels and literally hundreds of short stories, where psychological character study intersects with an exploration of celebrity culture and major historical events. Ballard is perhaps best known for the novel Empire of the Sun, which was made into a blockbuster film by Steven Spielberg, and starred a young Christian Bale in the lead role. The book presented an autobiographical account of Ballard's childhood in Shanghai during the outbreak of the Second World War, and his subsequent internment at a Japanese prisoner-of-war camp. As the narrative unfolds, a reasonably sheltered middle-class boy begins to question the fragility of cultural norms and values held as stable and unchanging by modern civilization. When Ballard later became a writer, his childhood left a lasting impact on the character and tone his work would take. J. G. Ballard's other major success was the subversive novel Crash, later made into a controversial film by David Cronenberg, which became infamous for its meticulous and often satirical explorations of modern technology, psychogeography and human sexuality. As an undergraduate, I wrote a thesis exploring humanism and posthumanism in the films of David Cronenberg, and was constantly refreshed and inspired by Ballard's incisive and often witty observations. One of the most interesting things about Ballard's work, for me at least, was his ability to look at the world anew. Truly. Many of his works satirize and undermine contemporary value systems, and question the way we choose to live our everyday lives, but there remains a liberal conservatism at the heart of his writing. Much like Swift, Ballard's fiction cuts and bites, but if it shocks its audience it does so with a human purpose. His polemical narratives and bleak scenarios form a consistently cautionary message. No author has articulated so well the trajectory of modern culture, be it mass consumerism or the cult of celebrity, and I would gamble that no author has better summarized the secret neuroses and obsessions of Western society than J. G. Ballard. No one has been more in touch with where we are at the present, or where we are going. He is sorely missed.